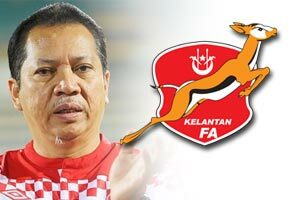 ANNUAR: The two new signings would be fielded in the Super League match against JDT at the Larkin Stadium on Saturday. KOTA BHARU: Kelantan have signed two new imports to strengthen its fledging M-League campaign but did not name who (imports) will be dropped from the squad. Kelantan Football Association (KAFA) president, Tan Sri Annuar Musa said the two new players signed were Gilmar Jose Dos Santos Filho from Brazil and Austin Amutu from Nigeria. "This morning we received the International Transfer Certificate (ITC) of the two players. Amutu plays for the Nigerian Under-23 National squad. The selection of the two players was done by team manager Azman Ibrahim and head coach Mohd Azraai Khor Abdullah," said Annuar in his Facebook posting, today. Annuar said the two new signings would be fielded in the Super League match against Johor Darul Ta'zim (JDT) at the Larkin Stadium on Saturday. "The duo will combine with current import Erwin Carillo (Colombia) on Saturday," he said. Meanwhile, Azraai when contacted today said the two new signings were necessary to beef up the attack as Kelantan are languishing in 10th spot with seven points after seven matches in the Super League. "I will discuss with the management to determine who will be dropped," he said. Kelantan currently has four import players, namely Emmanuel Kenmogne from Cameroon, Isaac Pupo (Liberia), Jonathan McKain (Australia) and Carillo.